Flower Power Tomatoes, that’s what this summer is all about. The Botanical Garden, best place for flowers, brings back flower piano, music for your ears! 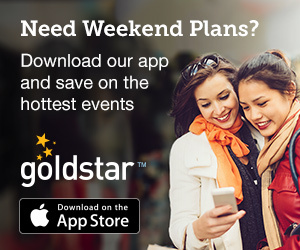 You can also be part of the world’s largest human flower arrangement – Lotus Live at the Asian Art Museum. It’s never too early to start shopping for Christmas, and the Fair-Trade Bazaar at the De Young is an ethical way to begin! 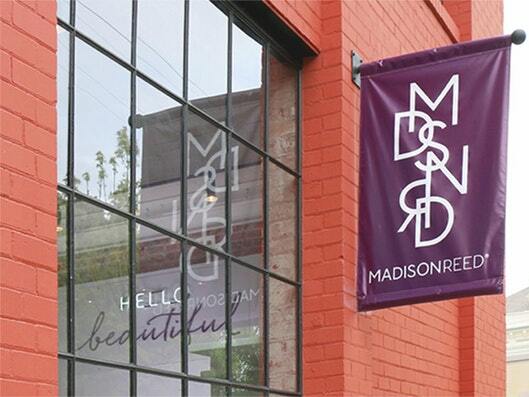 Want to update your hair color for the summer of love festivities – Madison Reed opened its first freestanding store in SF! Go on -, break out the tye dye, fringe and flared jeans – celebrate in style. 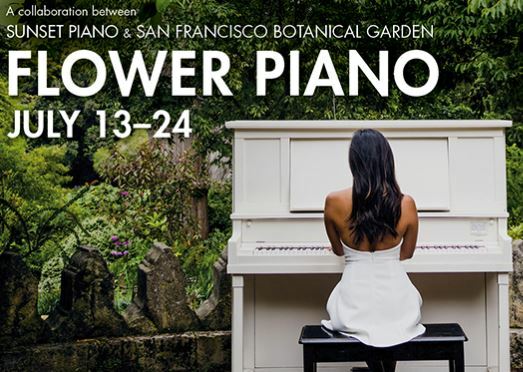 Flower Piano has returned for its third year, celebrating music, nature and creativity at the Botanical Gardens. 12 pianos are placed at dramatic, picturesque locations throughout the Garden’s 55 acres for anyone to play. This is one of the coolest things our city has to offer. All the pianos will be available for the public to play – whether chopsticks or Chopin – between 9 – 6 each day, except during performances. If you have ever wanted to be in the Guinness Book of World Records, here is your opportunity. The Asian Art Museum is hosting Lotus Live in an effort to earn the GWR title for the largest human flower. This is part human being, part artwork, part celebration of the museum’s Flower Power exhibition, and tons of fun. The idea is to form a beautiful lotus flower that can be seen from the sky. The Museum is searching for at least 3,000 community members who want to create something larger than them to break the record. (Current record is 2,297 at Rochester Lilac Festival). Just by being a lotus leaf you receive free admission to the Flower Power exhibition, a souvenir event poster, a chance to win prizes and a downloadable photo of course. I love the reason behind the selection of the lotus. Recognized as a symbol of transcendence and beauty untainted by hardship as it rises from muddy flowers, Lotus Live invites all to stand united and rise above challenging times. Yes, tomatoes, we who live in the Bay Area should be proud! Get your flower info here. 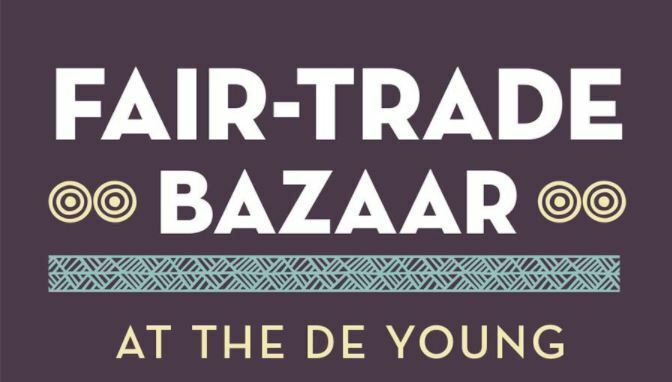 Christmas in July – seems crazy, but why not get a jump on your shopping list at the Fair Trade Bazaar at the De Young. Head to the museum to shop products created by global artisans. Jewelry, textiles, native handcrafts are all on display for purchasing or browsing. What is really special is that the artisans reflect many of the cultures represented in the museum’s collections. Artisans from Africa, Peru, Vietnam and Guatemala are featured along with those from many other countries. The event is free, but why not take the opportunity to wander through the spectacular exhibits such as The Summer of Love and my favorite, Degas Impressionism and the Millinery Trade. Shop info here. Ok Tomatoes, this one is a biggy! You may be familiar with hair color company Madison Reed that offers an inexpensive membership opportunity to color your own hair. 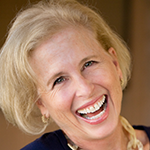 The founder, entrepreneur local Any Errett hopes to do for hair color what blowout bars did for those of us needing a quick fix. The headquarters based at 430 Shotwell St is part salon and store and part retail lab. You simply go to the color bar and get simple hair color in less time and for less money than I imagine you are paying at your salon. Madison Reed targets those of us Tomatoes over a certain age shall we say, who might want to cover our gray. Root only permanent color is $60, or a demi-permanent produce is $35. Say what? Good news for our tresses in that the Madison Reed Products are made without ammonia, parabens and all those other things I can’t pronounce. It’s a great concept if you only need a simple process. No highlights or fancy balayage services (if you don’t know – you don’t need it!). But for us gals who simply want to get rid of that unsightly skunk stripe this is a wonderful option in between the box and the high-end salon. You can book online or walk in.